Summer weather means a change in our clothing to more abbreviated attire that exposes our skin, giving us the opportunity to take a better look at ourselves. Sometimes we’re surprised at what we find. 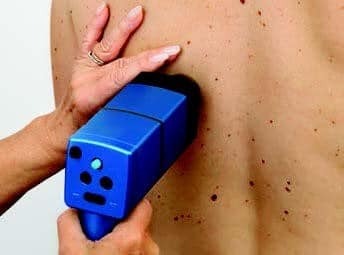 Age Spots: Referred to as “sun spots” or “liver spots,” (although they have nothing to do with the liver), these flat, brown, gray or black spots form from sun exposure over the years. They most often appear in people over age 40, on parts of the body most exposed to the sun, including the face, hands, arms, legs or back. Whatever you call these spots, they are generally harmless and do not require medical treatment. Recently, some new cosmetic products have been touted to fade their intensity, and the claims appear to have some validity for many consumers. Age spots can be minimized by using a good sunscreen or avoiding direct sun exposure. Seborrheic Keratosis: Middle-aged and older adults might notice the appearance of these small, rough little bumps. They are often flesh colored and can appear anywhere on the body. The American Academy of Dermatology describes these skin growths as having a “waxy, stuckon- the-skin look.” Although they may invoke concern, they are not cancerous or contagious. Such growths can be removed if they are unsightly or cause excessive irritation. Rosacea: This is a chronic, inflammatory skin condition that most commonly affects adults between ages 30 and 60. It causes redness in the face, particularly, and may produce small, red, pus-filled bumps. The Mayo Clinic warns that a number of factors can exacerbate the appearance of rosacea including temperature extremes and sunlight. Sun exposure makes rosacea worse by increasing blood flow to the surface of the skin, as does spicy food, caffeine and alcohol, among others. Topical creams and prescription antibiotics can reduce rosacea’s redness and skin-irritation. Medication-induced Sunburn: Exposure to the sun while taking certain medications may cause a rash to develop, which commonly looks like a sunburn. Drugs that may cause a photosensitive reaction include: diuretics, antibiotics, anti-inflammatory medications, high blood pressure and diabetes medications, and some cancer fighting drugs. Not everyone taking these types of medications will develop photosensitivity, but fair-skinned individuals should be especially careful. As with any new prescription, ask your pharmacist or physician about possible sun-drug interactions. Asymmetric: If you draw a line through the mole, the two halves will not match. Border: The borders tend to be uneven. The edges may be scalloped or notched. Color: Having a variety of colors is another warning signal. A number of different shades of brown, tan or black on one mole could appear. They may also appear red or blue. Diameter: Sometimes small when first detected, these moles can grow larger in diameter than the size of a pencil eraser. Evolving: Any change—in size, shape, color, elevation, or any new symptom such as bleeding, itching or crusting—should be brought to your physician’s attention. Proper skin care, sun protection, regular self-exams and being attuned to body changes year-round can proactively safeguard your skin…and your overall health. The post Skin Spots – What are they telling you? appeared first on Specialdocs Consultants. 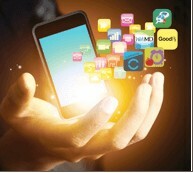 Aging Well, Aging Healthy…a continuing series The Connected Patient: Keeping Up with Apps Unlocking the Genetic Code: Spotlighting Pharmacogenomics Osteoporosis – Can you avoid the break?